These are the magic words that lie behind all good science fiction What if such-and-such, which today seems impossible, or hardly likely at best, could really happen? Thirty-five years ago, when today's rocketry was no more than a dream, an impractical toy in the minds of most people, science-fiction authors were writing romances which assumed that rockets to the moon and beyond might be built. Such stories formed much of the backbone of the early science-fiction magazines. But wonderful stories of other worlds beyond the sky, even beyond our solar system, had been written long before this. 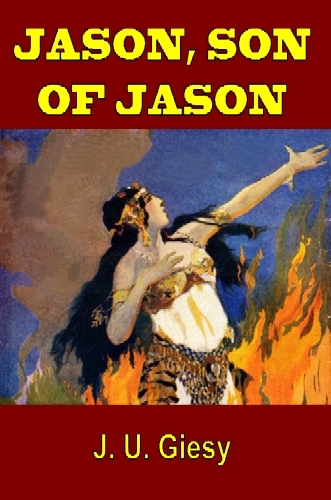 The first World War was till raging when, early in July 1918, readers of Munsey's All-Story Magazine opened the latest issue to start reading a serial novel of such adventure. The author had not invented a rocket ship, or some means of defying gravity, or entering hyperspace. How, then, could Jason Croft travel to Palos, a planet of the great star Sirius? The author, J. U. Giesy, found the answer for his story in the ancient religions and teachings of the East. Here mystics taught, that, with proper training, a person could project his ego, his "astral" personality, out of his body—which would then lie as in deep sleep—and roam the world. 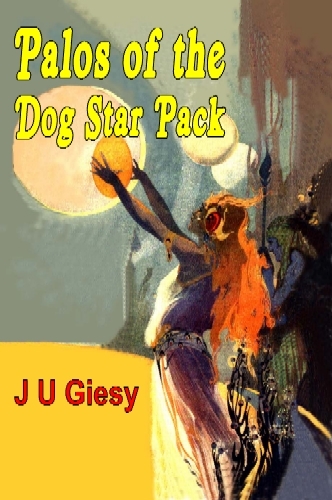 Those who read "Palos of the Dog Star Pack" and "The Mouthpiece of Zitu" will remember that Dr. Jason Croft, having, during his psychic investigations, gained complete control over his astral form, lands while wandering among the planets of outer space upon Palos, one of the spheres of the universe which includes the Dog Star. There he sees and falls in love with Naia, Princess of Tamarizia and, seizing upon the body of a Palosian about to die, he enters into it and in this form, with his advanced knowledge soon makes himself a power on the planet. Several times he returns to his own body on earth; but finally, having won the love of Naia, married her and made himself practical dictator of the planet, he allows his earth body to die and goes to Palos for good. This is the status of things when in the present story, he again gets into communication with his friend Dr. Murray. Of the present story we will only say: "You know that the first one was good and the second better; the third is undoubtedly the best of the trilogy."